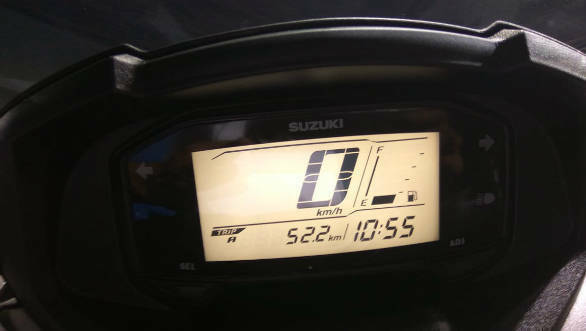 Suzuki Motorcycle India has launched the new Burgman Street in India at Rs 68,000 (ex-showroom Delhi). The Suzuki Burgman Street is based on the Suzuki Access 125, using the same underpinnings and 125cc engine. The engine's state of tune is slightly different to account for the 8kg jump in weight over the Access 125. The engine produces 8.7 PS and 10.2 Nm. The engine, from our experience with the Access 125, is refined and has enough poke to keep you entertained. That said, with the additional weight of the Burgman Street, it remains to be seen if it feels as peppy to ride as the Access 125. The 2018 Suzuki Burgman Street features an extra-long seat, LED head and tail lamps and a large storage boot. 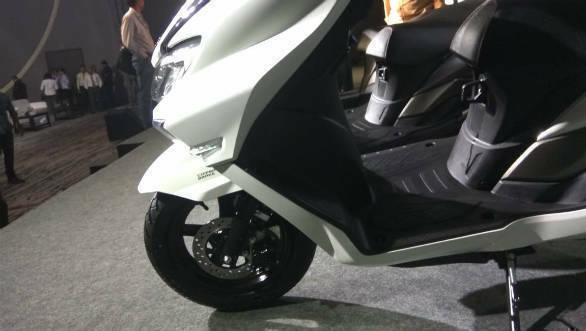 From the looks of it, one can see that the Burgman Street takes inspiration from the much larger 650cc Burgman maxi-scooter. Suzuki India will be positioning the Burgman Street as a premium offering that will come with a plethora of features and options. 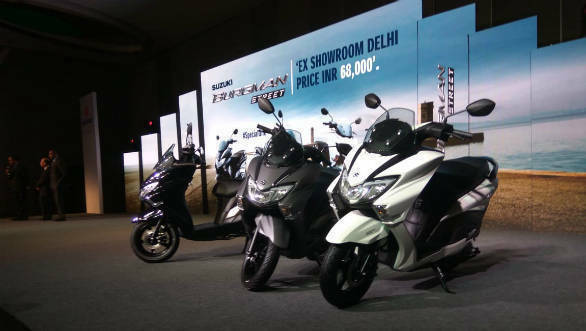 The Burgman Street is positioned as a premium offering and is the second Maxi-scooter to be launched in India, the first dating back to over a decade ago when Kinetic introduced the Blaze in the country. Maxi scooters are generally large scooters, with extensive body panels, evident on the Burgman. The Burgman Street has a long seat, 21.5l boot space and a feet forward position that results in a cruiserish riding position. Initial impressions are that the scooter is very well built, as all Suzuki products. 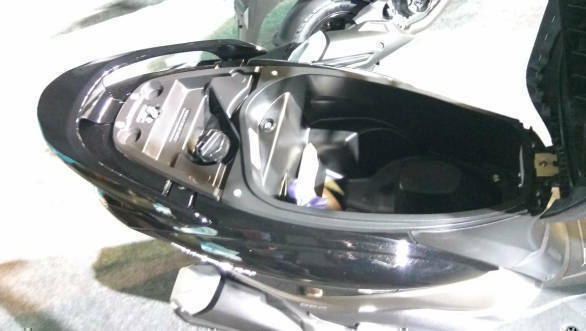 The paint finish feels premium and the fully digital instrument cluster is a straight lift off the Gixxer 150 / Intruder 150 motorcycles. The LED headlamp and tail lamp add to the premium feeling and overall, this is a good looking scooter.